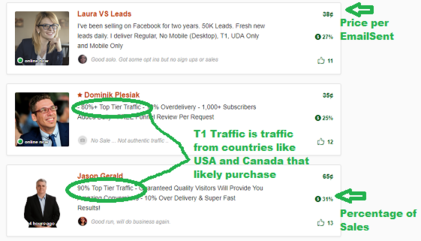 Solo Ads For Internet Marketing, can be a great way to build fast! When you dive into the business of Internet marketing, and the tools for internet marketing there are a multitude of tools in the toolbox to ensure success. But when you utilize solo ads for internet marketing, you can not only promote products, but you can quickly build your valuable Email list! 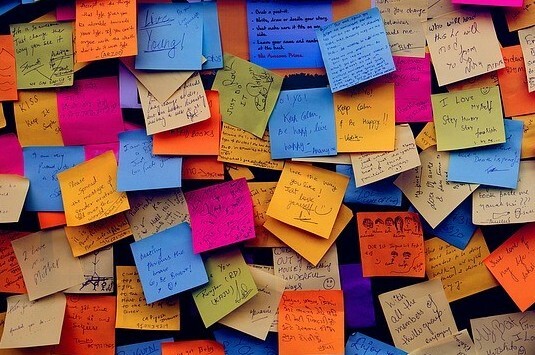 This is one great answer for how to build your list fast! In this article we will dive into the subject with a discussion of the basics of using solo ads’ for internet marketing. I will touch on what solo ads’ are, the benefits of running solos, and how you can do it for maximum effect! 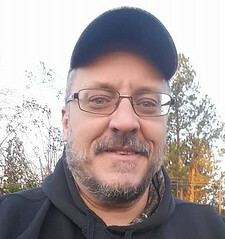 If you are sick of scams and con men trying to sell you garbage courses to learn how to make money online, Click the button to learn more about my #1 ranked way to make money online FOR FREE! Solo ads’ are also known as CPA marketing (Cost Per Action) and are done to get traffic via someone else’s Email list. You pay the person to e mail his list with your landing page link. The Solo ads’ marketplace I use is Udimi.com. Udimi is primarily a marketplace for promoting affiliate marketing promotions such as study courses, make money online, and MLM (Multi level marketing) offers. I am promoting the training course that I used to build my online business , by purchasing solo ads. If you decide to run a solo ad the process is simple. You first start by clicking on ad texts. This allows you to create an Email message that you want one of the vendors in the UDIMI marketplace to mail to a segment of their list on your behalf. You add a hyperlinked “Click Here” to take the person who receives this Email message to you’re landing page. 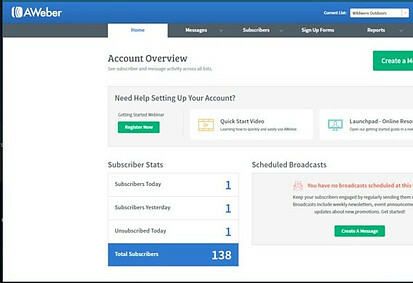 Once at you’re landing page you can add that person to your subscriber list if they opt-in. Then when they check their Email to confirm there will be a button that is generated in your auto-responder that takes them to a video, sales page or whatever the offer is. How Useful Are Solo Ads For Online Marketing? Solo ads’ are extremely valuable as one source of growth in your online business ! I don’t think that it’s a better strategy than building a niche website by a long way! But for beginners it’s a great strategy to get paid traffic to build an Email list and promote products! Whether you are promoting an affiliate offer such as ClickBank, your own product or testing a funnel, Solo Ads are a very effective tool for seeing success! Solo Ads are very easy to use and setup. And the expense is determined by you. For instance, you choose the number of recipients you want to have Emailed. The price per click is well explained and can be anywhere from $.35 to $1.00 depending on how responsive and targeted the list is. So if you want the vendor to Email a segment of 100 at $.35 each, your price is $35. All solo ads are not the same ! I use Udimi quite a bit. And I suggest that you do a little research on solos offered in your niche before doing it! Watch out for scams ! There are solo ad providers out there who use fake clicks, steal clicks and other means ! But with a little due diligence you should do just fine ! There are several solo ad vendors as well as individuals that you can strike up a deal with! simple and quickly learned, but the first time you do it can be a little confusing! In the nice of online income and marketing , I like Udimi.com a lot! They are very reputable and have high standards! If the % of tier recipients is below 85 don’t pay over 50 cents unless you are trying for initial sales of a high converting product with the solo ad. Make sure you adjust the slider to the number of contacts you want Emailed. Many of the best-sellers start off with the slider set at 1000 recipients. 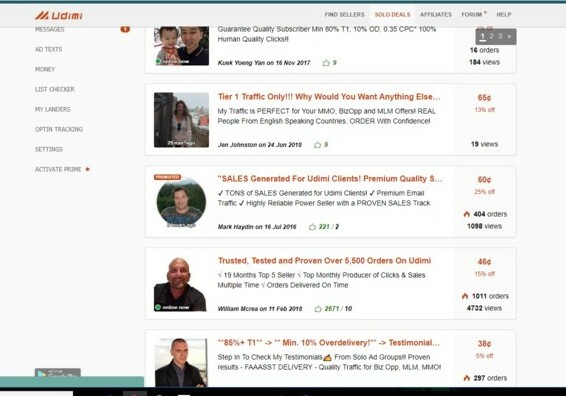 If that seller is getting 50 cents per recipient and you wanted to buy 100 clicks at $50, the slider being set at 1000 means you will get 1000 contacts at a price of $500! Never spend over $50 on an initial solo ad! I spent $120 on a solo ad after checking the function of the landing page several times. When I made my ad test I hyperlinked the Tank You page instead of the Landing page! I got no opt-ins and no sales of course ! I just lost $120! 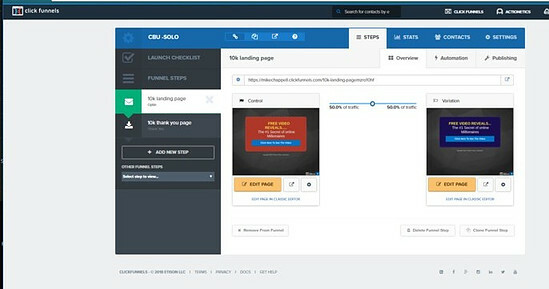 Another reason to not spend over $50 on a new solo is that if you are testing a landing page, you may find out that you’re landing page doesn’t convert and you have to make some changes. Sometimes it tales 2-3 tests or more to find a landing page that converts! If you are using a funnel service like ClickFunnels, set up a split test between 2 landing pages that you think,may convert. The 2 landing pages will both be delivered with an equal amount of views. Then based on your results, go with the one that converts best, and make another landing page to use as a split test. Do it again. There are other marketplaces that offer solo ads, but some become very expensive and can be very costly if done incorrectly. Once you have become comfortable with Cost Per Action (CPA) Solo Ads, you can do some research into more advanced solo ad providers like Igors Solos with Igor Kheifets. Igor has a very productive way to optimize your solo ads campaigns, but keep in mind that the increase in quality is also a huge increase in cost! You get what you pay for is absolutely correct here! I have had tremendous luck using Udimi for building my E Mail list, and have seen little reason to change! With Udimi you can send a solo ad as small as 50 people for $21 ! That is hard to beat! To run any kind of online business you will need an Email service provider called an auto responder. The auto responder will handle the bulk of the work for you on autopilot! From collecting Emails in a promotion and adding them to a segmented part of your list, to sending out a series of Emails to those who opt in. You will set up a series of Emails to send the people who decided to opt-in but didn’t purchase the promotion. Many promotions will have affiliate tools available with banners and Email swipes pre-written that you can use to quickly set up your auto responder functions with. These Email swipes may be as few as one or two. Or as many as 20 over a period of 20-30 days. You spend a couple of hours setting the auto- responder Messages up, and setting the integration to you’re landing page, and you are done for as long as you promote that product and build your list! The Solo ads’ marketplace that you have signed up for on a free account will keep the original swipe Email you first sent. You can buy a solo every few weeks by simply choosing the vendor in the marketplace, and paying. The entire process stays set up! I once used MailChimp as my auto responder, but over time found that their service leaves a lot to be desired and they deplore affiliate marketers. I had a couple of very bad experiences with them, and decided to switch services. Here is my updated review on Mail Chimp. I now use Aweber, and could not be happier! It is much easier to use and is only $19 per month for up to 1500 subscribers. I love it and have had no issues! I would suggest it to a beginner in online business as well as an established marketer! It works ! The image above is a screen shot of a recent promotion Solo where Aweber collected 138 Email subscribers to this new segment that I paid $150 for. I also had three sales totaling $177. So I made $27 and added a new segment of 138 subscribers ! Great day! 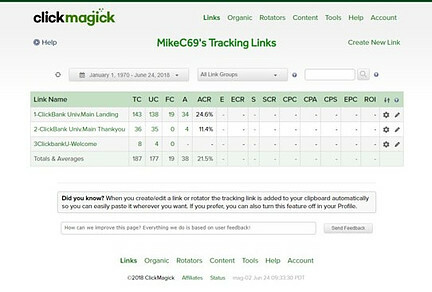 It’s best to set up tracking links with a service like ClickMagic so that you know what is successful and isn’t. It works kind of like the split test in you’re landing page software, and is vital! All these steps sound complicated, but are pretty easy to set up after you do it once. There are also other fields that show items like cost per click, earnings per click, and return on investment that can be set up for tracking. But since the example was one that I only used for a solo add, I didn’t need to track all the other criteria. Who should consider Solo Ads? The very First thing any new online business owner should consider doing is building an Email list! Solo ads’ help get that started when you don’t even have a means of traffic yet! You can set your budget and let it fly to promote an opt-in affiliate offer and track the results. We have talked about the advantages of solo ads’ for both new and experienced online marketers. The ins and outs of setting them up and some results I have gotten. Solo ads’ are another great tool in online marketing! But I still see building niche websites and YouTube as far better sources of traffic!. Websites and YouTube can drive traffic in the thousands to your opt-ins and offers for free! But even with a highly ranked website, solo ads’ should be in your tool box as a way of increasing your list and potential sales ! Thanks for reading my article on solo ads! We have discussed the basics and some advanced steps for creating and benefitting from the use of solo ads for both promo sales and building an Email list! For even more awesome training and tips visit us here and learn everything you would like to know to greatly improve your internet marketing skills ! If you have comments or questions please leave them below. It is with your help that I can better serve my audience ! 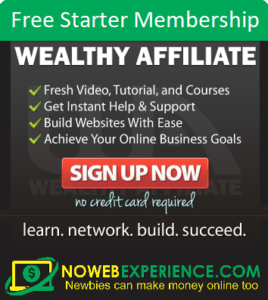 Previous Post:Do You Need A Website For Affiliate Marketing? -Absolutely! Lots of good information. I saw solo ads mentioned before and different teachings but I didn’t know what they were actually or how they work. You have cleared all that up, thank you. If you have more comments or questions please leave them in the comments section below and I will get back as soon as possible! I am just a newbie so I think that solo ads can be beneficial to me. However I wonder how long does it take to make good money with it? I also wonder how I should track the results. Should I use plug in or should I use some analytics program? If you are building a website, you have a big leg up on 60% of affiliate marketers. If your website ranks well and gets good traffic, you will have (in some cases) 10,000 highly targeted leads to promote your affiliate offers and landing pages to! Ads are awesome and should be part of your strategy! But it depends on the ads. Adwords is a tremendous service if you play it right. solo ads are also great for getting opt-ins and sales, but much of the time the traffic and opt ins aren’t as targeted as you would like. If you do use a solo ad market place use one that is reputable like Udimi. If you have further questions or comments, leave them below and I’ll get back ti you as soon as possible! I have tried to use Solo ads before but without much success. I was promoting a program on how to seduce women but I had a hard time finding any suitable solo ad provider, most people seemed to be dealing with marketing and how to make money online. Finally I tried something called 10 dollar solo ads. They sent my offer to thousands of subscribers for only 10 dollars but the traffic was absolutely useless, I did not recieve a single sign-up or sale. Still, I have heard that some people are enjoying great success with Solo ads so guess it is question of finding the right solo ad provider and providing the right offer to the people on the list. Thank you for the info about Clickmagic, I will look into that, it does seem useful.